Owner spared no expense in customization and furnishings. From the top of the line mattresses, upgraded granite, great cabinetry and built-ins to the flat screen televisions this condo exudes luxury and relaxation. The kitchen is fully stocked with all of the utensils that you will need for that special meal with family and friends. Stainless steel cookware and top of the line appliances are furnished along with mixing bowls and casserole dishes. So whether you decide to dine in or out the kitchen is ready for your needs. Master bedroom has a king sized bed with top of the line mattress and linens! Also enjoy a flat screen TV and views of the lazy river (at night it glows and is sure to set your mood) Master bath has Jacuzzi tub and separate shower! I also boasts dual vanities and a large walk in closet. Second bedroom also has a king sized bed with top of the line mattress and linens! Also enjoy a flat screen TV. The third bedroom has a queen size top of the line bed also with a flat screen TV and built in cabinets. We promise you will love it!! There is also a top of the line sleeper sofa that is not your typical sleeper. It has a mattress that blows up to provide more comfort than the regular sleeper sofa. You will enjoy our flat screen HDTV in the living room with cable and we also provide a full movie library for your viewing enjoyment! We also provide wifi for your business or pleasure needs. The large wraparound front balcony looks straight at the lazy river. 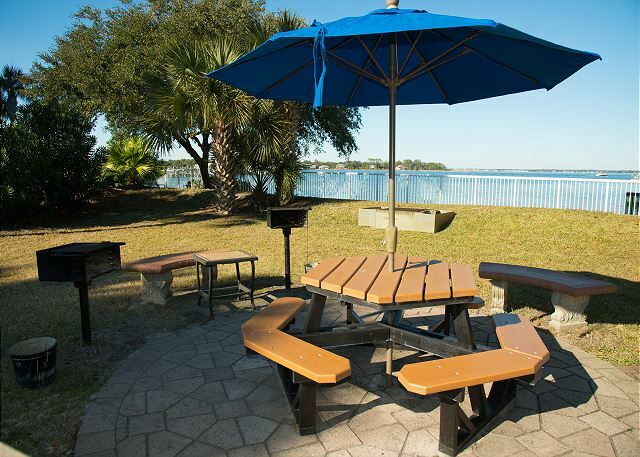 Enjoy your meal right on the deck as you watch the lazy river and enjoy all of the scenery of DestinWest Bayside. Separate laundry room with full size washer and dryer and plenty of storage for your stay. Pack and play and booster chairs also furnished for families with small children. 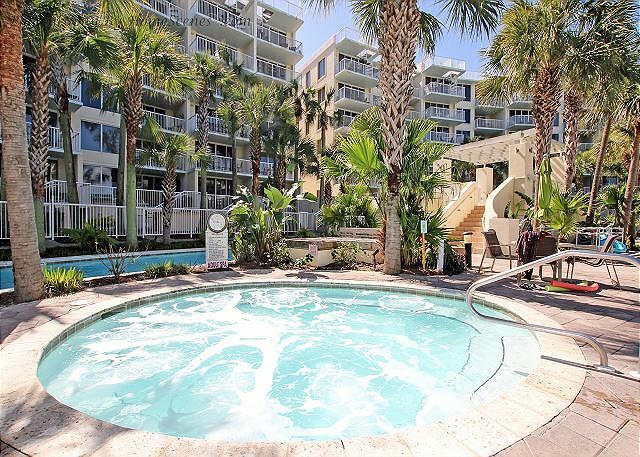 309 Heron is very conveniently located right in front of the stairs for Heron and gives you easy access to the amenities of Bayside and puts you next to the walkway for the Gulfside amenities. The staff was excellent to work with!!!! Living room furniture and carpet needs to be updated overall a great unit. Everything you need for a wonderful vacation. Dear Ms. Roberts, Thank you so much for taking the time to leave us this excellent review! We love hearing from our guests and are so glad that you enjoyed the time with your family! We're always here to help you book your next vacation! Everything was beautiful. 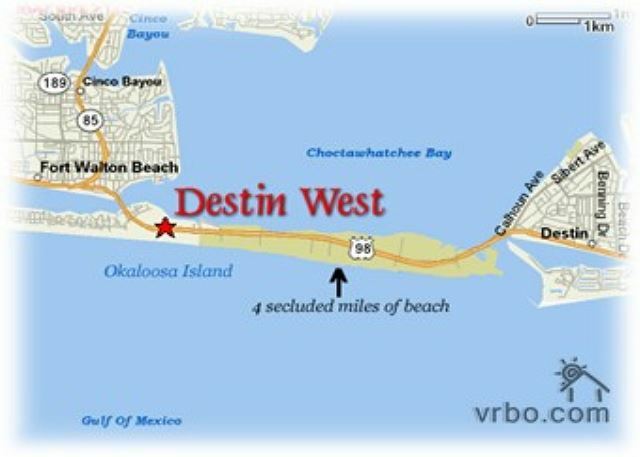 I highly recommend staying with Destin West Vacation Rentals. I stay here multiple times a year, every time it’s perfect. Dear Mr. Brupbacher, Thank you so very much for this 5 star review! We love hearing from you and will be counting the days until your next visit with us! Dear Ms. Juneau, We're so pleased that you enjoyed your stay with us! We're very sorry to hear about your declining health but are so glad to know that you still enjoyed your vacation. I'm sure the tropical setting, fresh air, and sunshine helped a little. We'll be standing by to help you book your next stay whenever you're ready for another getaway. Loved having 2 king & a queen bed! Very large unit & that was great! Management was great to work with as well! Dear Ms. Miller, We are so happy you enjoyed this beautiful unit and had a great time during your stay! We're always ready to book your next visit whenever you are! 3rd year in a row!! Love love love!! Upgrades were much appreciated. Never bothered me, but they were great. Love the new mattress in the front room. The only thing I would suggest is a stool, it was quite comical getting in. Everything is close, you don’t have leave, but if you do, everything is right there. Dear Ms. Glacken, We're so happy to hear that you loved your visit! We're already looking forward to your next trip back! The pace was wonderful except for the rain but we dont control that. The staff was great the condo was very clean. We stayed in same condo a year ago and it is still just as clean. The security around the pool were also great and pleasant. Dear Mr. Allman, Thank you for taking the time to leave us this wonderful review! We take a lot of pride in our cleanliness! We're ready to book your next trip whenever you are! 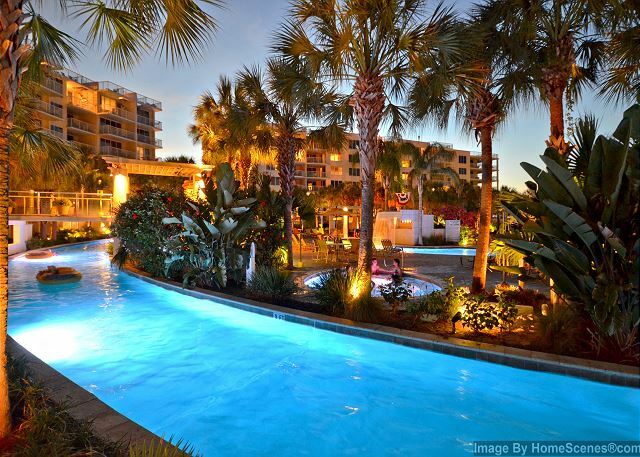 This condo was great for our annual DestinWest family vacation. My only complaint would be the balcony view is mostly blocked by the palm trees and the balcony furniture could have been more comfy. I only noticed this because we were stuck in the room 3 of our 7 days due to the tropical storm Alberto. The condo was very spacious and had a fully equipped kitchen for cooking. 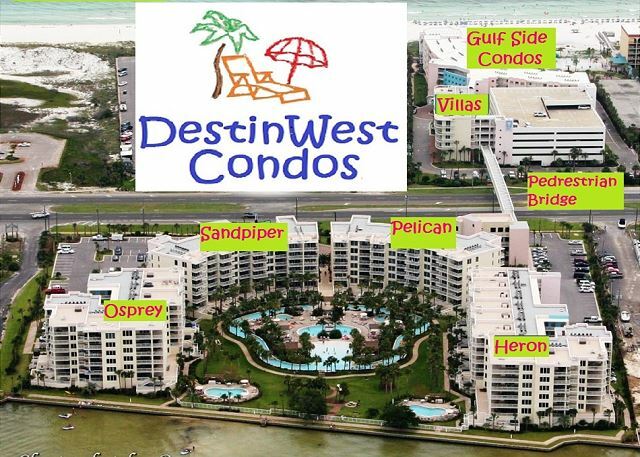 We will return to DestinWest, as this is our go to place for the past 4 years....we will just choose a different condo with a better view in the future. Dear Ms. Miller, I'm so glad you had a great stay for your family vacation! 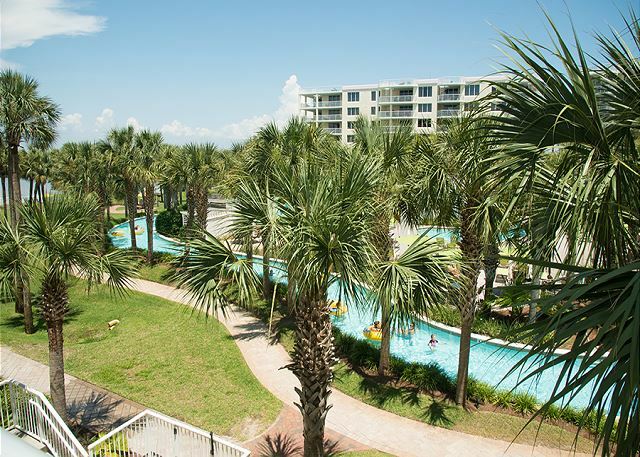 We'll be happy to assist you in finding just the right condo for your future trips down. We're ready to help you plan whenever you guys are ready to come back! Preface: mgmt co. did a good job taking care of us--we appreciate their efforts. The extenuating issues with the entire complex are not a reflection of this condo or owner: 1)Alarm system for the entire bldg. malfunctioned one afternoon thru part of night causing it to go off MULTIPLE TIMES (at least 5x), and each time the fire dept. had to respond to turn it off. 2)Lazy river filter quit working and was down for 2-1/2 days--not good when that is one of the top reasons why you selected to stay somewhere. Again, not mgmt or owner's fault. 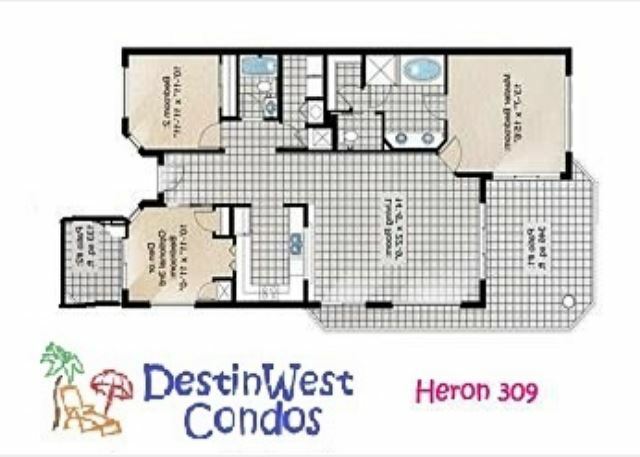 As for Heron 309, it is a very nice condo. Wraparound balcony allowed the wind to blow around the side of the unit, which made for a nice relaxing place to sit. (Doubt if middle unit balconies experienced this breeze.) The living room side view was perfect for watching fireworks. The furniture and beds were very comfortable. Unit was clean for the most part, but could use a good deep cleaning (baseboards dusty, sticky tile from floor cleaner build up, master bathroom mildew). Chief complaint: the ceiling fan and lack of lighting in the master bedroom--15 watts in a dark room. I read prior reviews before booking and assumed it would be fixed by the time we got there. NO! So...Even though the ceiling fan is pretty, it does NOT function properly and should be replaced. Bulbs are burned out and can't be easily replaced; light must be left on if you want the ceiling fan on; and the fan makes noise! REPLACE THE CEILING FAN! It does NOT take that long (1-2hrs max) to replace a fan so there is no reason why it can't been done between bookings. We took the lamp out of the living room and moved it to the bedroom so we could find what we wanted in our suitcases at night. Walk over to beach was not bad but if disabled, I recommend staying on gulf side. 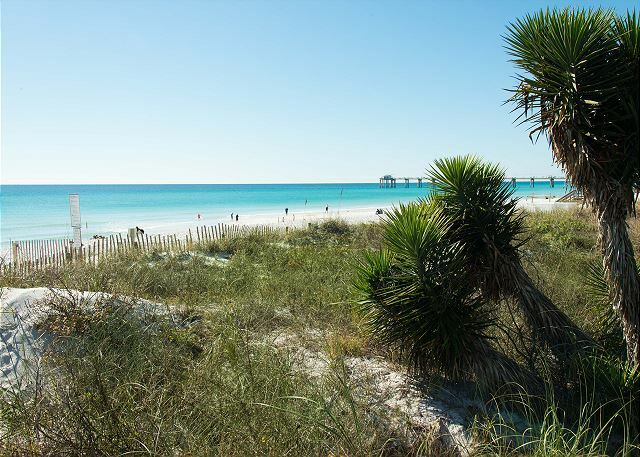 Location in town and to Destin was good. Enjoyed walking on pier at night. Unit close to stairs and perfect distance away from smelly trash chute! Would possibly stay here again. Christine, thank you for your review. We do hate that the inconveniences all seemed to happen at once during your stay. The lazy river being down was completely out of our hands as well as the resort itself, but we totally understand your frustration. Just a quick update about the ceiling fan. This fan has a remote which allows for up-lighting and low-lighting. There is an option to turn the light off and have the ceiling fan run but it's with the remote. We were not aware of any noises but I'm sending maintenance over today to take a look at and definitely replace the entire fan if needed. We certainly do not want anyone else having any problems with it. Thanks again for the great review! We hope to see you back soon. It was exactly what you see in the pictures. We thought the pools would be crowded but they wasn't and we went 7/15-7/22. The walk to the beach from Heron was a little longer then we thought but they did furnish wagons to put your coolers and chairs in. The amenities were great. Love the location and the lazy river. The condo was very clean and beautiful. The evening security guard Richard Starr harrassed the guest at pool every evening that he worked. He was trying to enforce rules that were not even rules. He started off by telling you he is retired military and law enforcement. If you didnt obey his ridiculous rules he would threaten you by saying he will report you to police for child abuse for allowing your children to get in hot tub. He stated to me and other guest numerous times he is security and we will obey his rules. He made our vacation unpleasant and when we reported him we where told that doesn't sound like our security. So beware of Richard Starr at this resort. The place is nice but security makes it feel like jail. Great way to start our summer! We had a wonderful vacation here! Dear Ms. Stierwald, Thank you for a wonderful review! We love hearing from our guests! Please come stay with us again soon! The condo was very clean, as just as described. Will definitely stay here again. Thank you Lisa. We appreciate the great review. This unit was so nice! I can't wait to book another trip soon! Such a great place! Renter Julie was so responsive and kind and took care of everything and anything we needed. 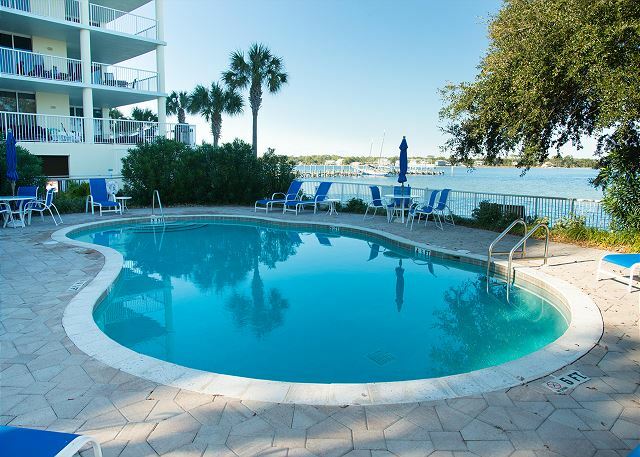 The resort itself is clean and well kept, and in walking distance of Fudpucker's restaurant and only a 7 minute walk over the bridge to the beach! Heron 309 is magical & wonderful! From the moment we walked in our jaws were agape. 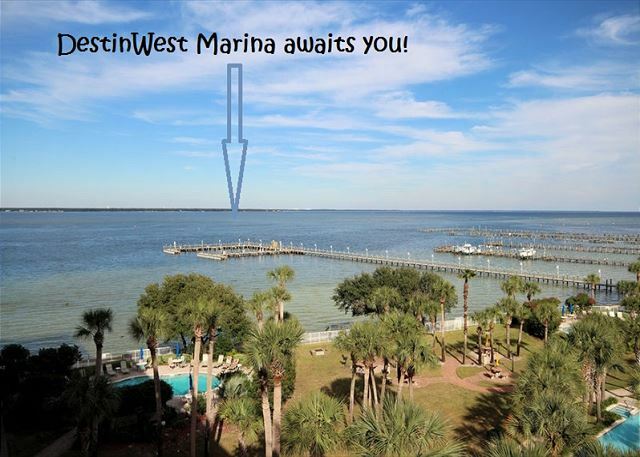 This is the nicest condo we've stayed in at Destin West to date. Beautiful layout, lots of storage, they even have a minibar area! The wraparound porch is wonderful, and the patio is perfect for sitting on during our morning cup of coffee. Watching the lazy river and listening to the palm trees sway heavily...I looked forward to getting up every day because of this! Bed was comfy and the bathrooms/kitchen provided everything we needed for a comfortable stay. They even had beach towels (which we didn't know so brough our own...). Great beds which is hard to have lots of towels and a good location. We rented this condo with 2 other couples for 4 nights. The condo is well furnished, comfortable beds, and a well stocked kitchen for cooking. The location was convenient to the stairs and overlooked the lazy river. We spent quite a bit of time using the water amenities at our location. We would definitely recommend this condo to others. Property management went over and above - very helpful and pleasant. Our children live in different places and it was wonderful to have them in one location. Especially when the facilities were so nice, there was so many options of things to do and you can walk to so many amazing restaurants. This is our 2nd time to this condo. We enjoyed it very much. Love the Lazy River. The only problem we had was the ice maker was not working. We'll be back. We loved it can't wait to go back!! It was very clean, comfortable, and any questions we had, were answered quickly. We loved the location. We had everything we needed and more. The pools and lazy river were great. We loved the beach, walk up restaurants, and a bar on the beach. The walk to the beach is a tad long, but totally worth it, and I needed the exercise, after all the yummy food!! I can't wait to go back, and we would get the same unit. I have a small family of three. The condo would fit many more, but we found it perfect for our liking. It has nice upgraded finishes and open floor plan. The balcony is roomy, also. 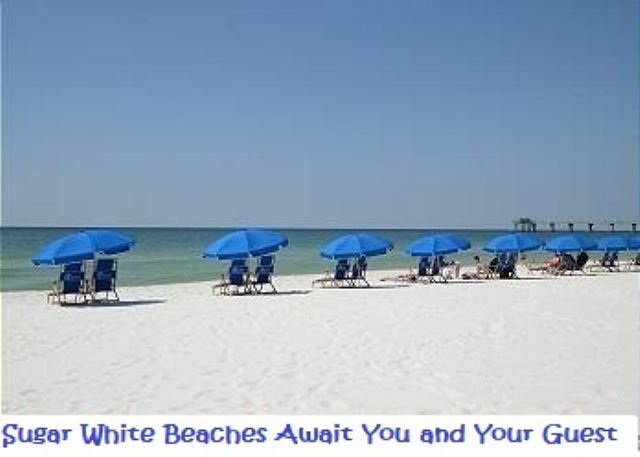 We enjoyed having everything in close proximity (grocery store, water sports, fishing, beach, pools, Boardwalk, and restaurants) and if we wanted more, we could take a short drive to find it. We spent an entire day shopping at the outlet mall which was a short drive away. We enjoyed out visit and plan to return.